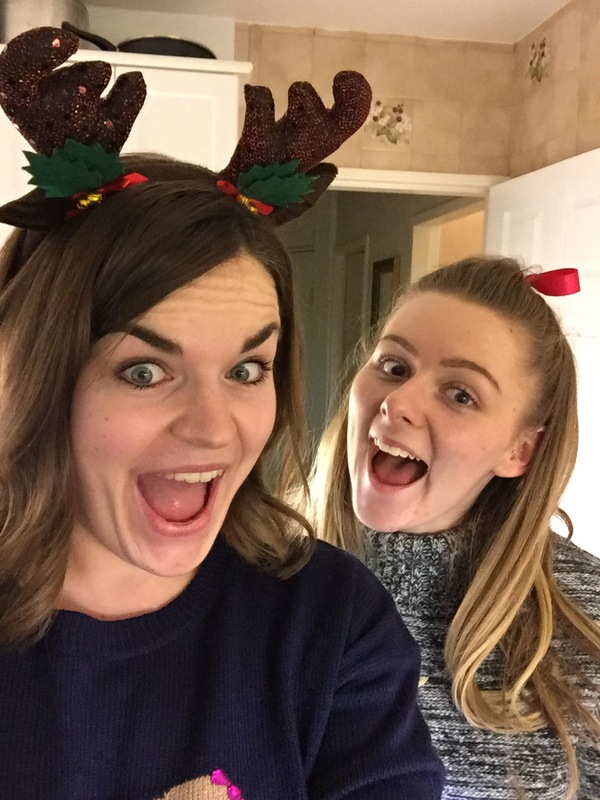 festive – The Baking Beauty Blog. 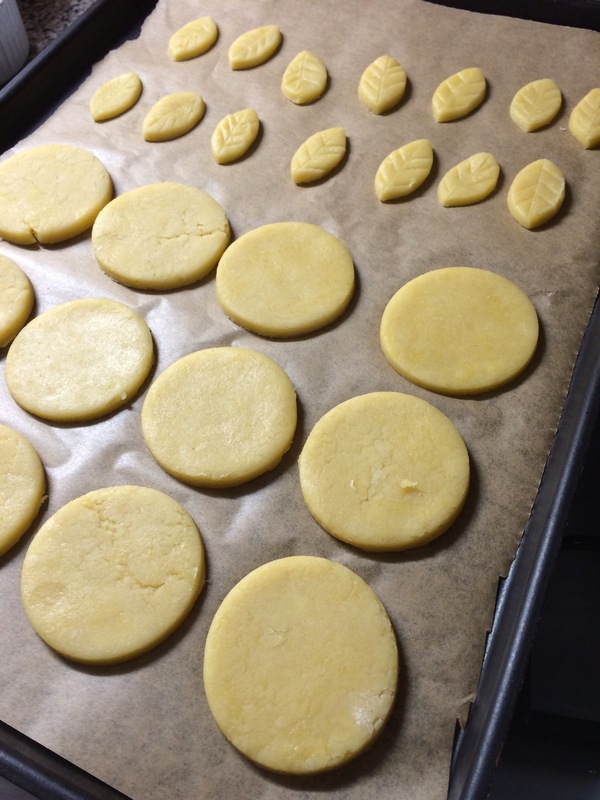 The third recipe of The December Project sees me going out of the box with baking… And not actually baking anything. I KNOW. This week sees the return of the inevitable Christmas Cake Curd from M&S plus I have had to be a real health guru (ha) and deep fry since the recipe is for…. GINGERBREAD DOUGHNUTS. And I don’t care what anyone says, baked doughnuts just aren’t as good as real, hot, fluffy, fried doughnuts. As gorgeous as they are and as wonderful as the idea of combining gingerbread flavours with a doughnut, I can’t take full credit. The idea for this recipe came from the one and only queen of the kitchen. In my house anyway. It’s my nan! So it was last week when I was a little stuck for inspiration, I wanted to do something new so I decided to ask my nan if she had any thoughts on what my recipe could be. She just instantly, barely giving me time to finish the sentence, yelled ‘CHRISTMAS DOUGHNUTS’. And thus, the inspiration for gingerbread spiced doughnuts was born. So nan gets the credit for thinking them up, but I can’t even take full credit for making them since I bought in my trusty work best friend Kelly (Instagram @kellyrusso19) to be my sous chef. And what a fantastic job she did. 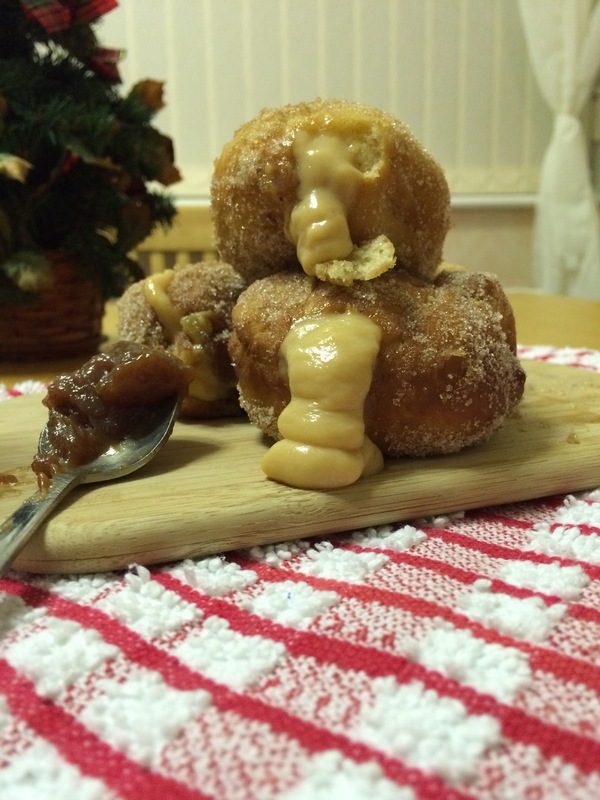 So down to the nitty gritty; the recipe for these doughnuts is very easy, it just takes a hell of a long time inbetween making the dough and actually frying them. I find it easier to use a stand mixer with a dough hook to mix up this dough since I can’t be bothered to knead dough for 5 minutes and ruin my nails. However you can just use a spoon to get it combined then knead it vigorously for 5-6 minutes on a lightly floured surface. Measure out all your doughnut ingredients that I’ve listed above in the top list and whack them all in you stand mixer bowl and let it knead away with your dough hook attachment for 5-6 minutes. After this time it should have formed a ball and will look visibly smoother and when you pull it off the hook it will feel very elastic and bouncy. If you’re kneading by hand and it’s not quite elastic enough, persevere until it does. Place the dough into an oiled bowl and cover with cling film and then a tea towel and leave in a dry warm place to prove for an hour until it has doubled in volume. 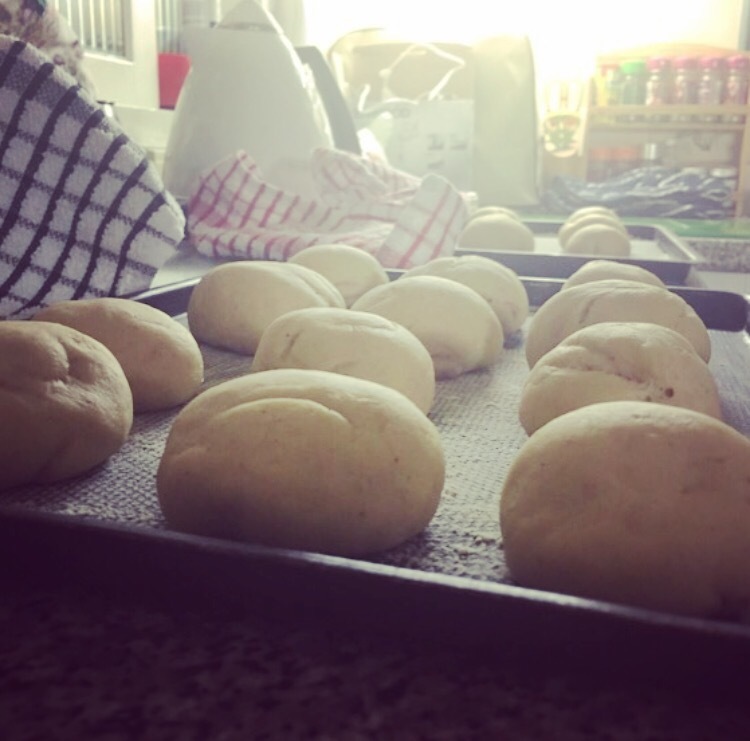 Then make little golf ball size shapes with your dough, ensuring it is tightly rolled, and place them on a floured tray with lots of space inbetween each one. Now cover with a tea towel and prove again for about half an hour until they have puffed up. Now forget about the dough balls for now and concentrate on mixing your sugar, and custard filling. Measure out your golden caster sugar, Demerara sugar and spices of choice from the list above and mix them well in a shallow bowl. In a separate bowl pour out your custard and use a fork to mix in the Christmas cake curd well until there are no lumps. Next heat up your oil to 160-165 degrees celcius. Or if you don’t have a temperature probe just drop a small piece of dough in, and if it bubbles around the edge but doesn’t fizz rapidly then it’s good to go. If it’s fizzing, it’s too hot. Now fry your doughnuts in small batches for 2-3 minutes on either side. Then, working quite quickly, toss them in your spiced sugar to ensure it sticks. Then let them cool slightly before filling. Then use a chopstick to puncture a hole in each of your doughnuts and wiggle it around to make room for lots of custard. Now fill a piping bag with your custard and fill each one. Plate them up and scoff them all before anyone else finds them. I think the real milestone that every person will experience in life is the moment their youth ends and the scary prospect of being an adult begins.When you actually take time to choose a bottle of wine instead of opting for the cheapest (it was lambrini in my case). Also when you’re relieved to hear that your friend has cancelled plans so you get to stay in and consume said wine. Then the main milestone, the December when you go from hating a mince pie as a child to tasting one and thinking ‘there’s brandy in this, I like it’ and then continuing to inhale a box a day thereafter. I make mince pies every year so I wanted to be a little innovative. 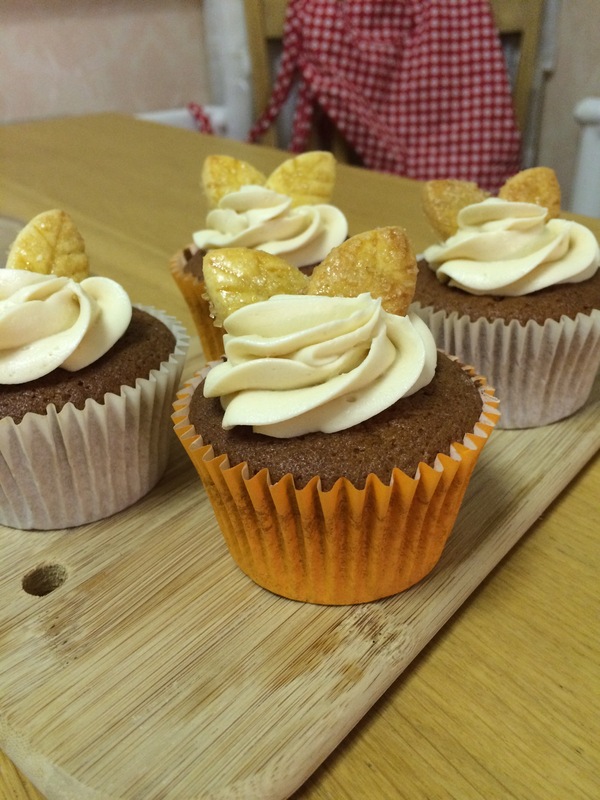 I saw a concept of making a cupcake with a pie theme which was pumpkin pie cupcakes. So being the patriotic old Brit that I am I wanted to create a British version; none other than the Mince Pie Cupcake. And let me tell you now, these cakes are festive numbers that will blow your socks off. A buttery shortcrust pastry base nestled underneath a Beautifully spiced all butter sponge, a hidden surprise centre of luxury brandy laced mincemeat, topped off with a silky festive buttercream and cute little pastry leaves. It sounds like a lot but each component of this cake brings something to the table. The crisp short pastry and tart mince combined with the soft cake and smooth cream – it’s a party in your mouth. But one of those luxuriously exclusive parties where everyone’s draped over a Chaise lounge elegantly whilst sipping a martini. 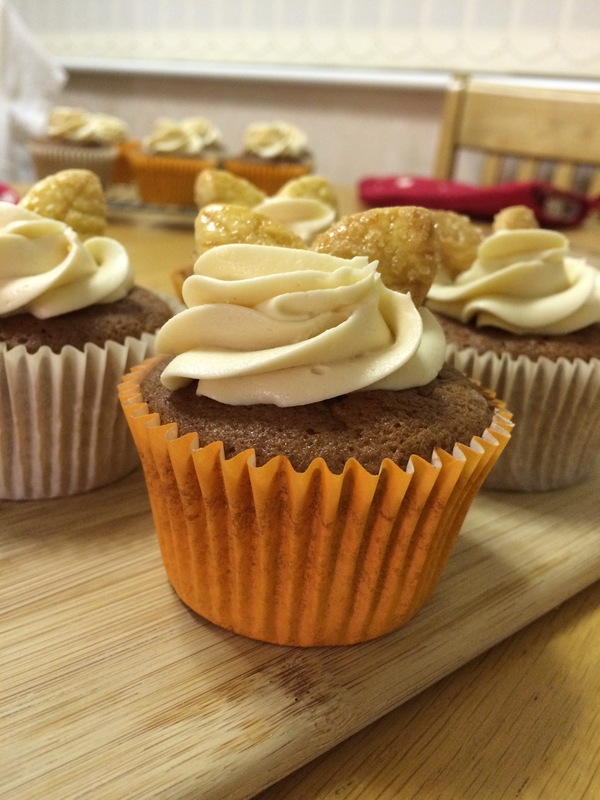 The yield for this recipe is 12 cupcakes but for the festive period I’m sure you’ll need more than that for a party so feel free to double all measurements to make 24-26. Preheat your oven to 18oc/gas mark 4 and line a 12 hole cupcake tin with cupcake cases of your choice and a large baking tray with baking paper. To make the pastry rub the cold cubed butter into the flour until it resembles fine breadcrumbs. Then stir in the sugar, zest and salt, and combine to a dough with the egg, however do not overwork it! Once the dough has come together, roll into a ball and wrap in cling film. 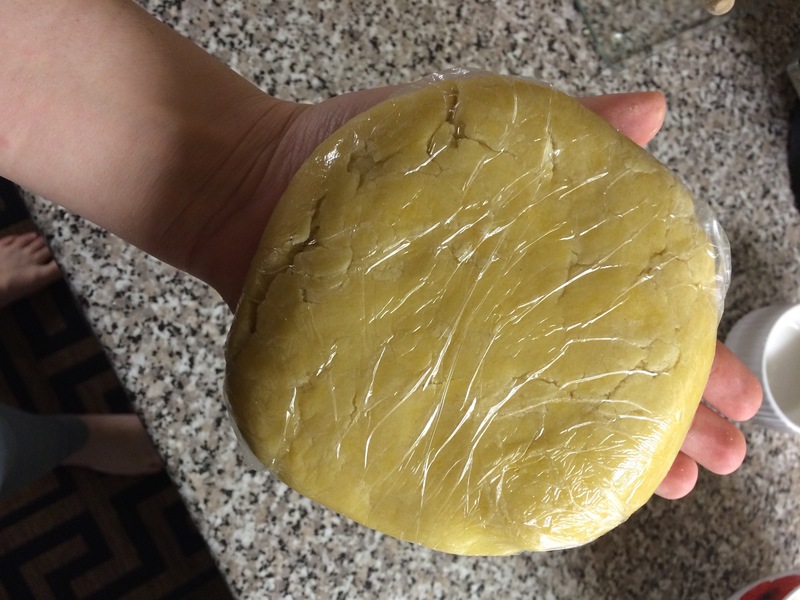 Then put the dough in the fridge for half an hour to rest up and relax. Once the half hour is up roll out your dough on a floured surface and cut out 12 circles with a round cutter slightly bigger than your cupcake cases – just incase they shrink. Also, using your circle cutter, cut out 24 leaf shapes and use a knife to make leafy impressions that will bake into the pastry as it bakes. Place all circles and leaves onto your lined baking tray and egg wash the leaves but not the circles as this will cause them to puff. Now put each of the discs into your lined cupcake tin. Using a stand or hand held mixer, in a large bowl beat together the butter, both sugars, eggs, flour, baking powder, orange zest and spices for about 2 minutes until the mix is smooth and you can see the air bubbles popping. 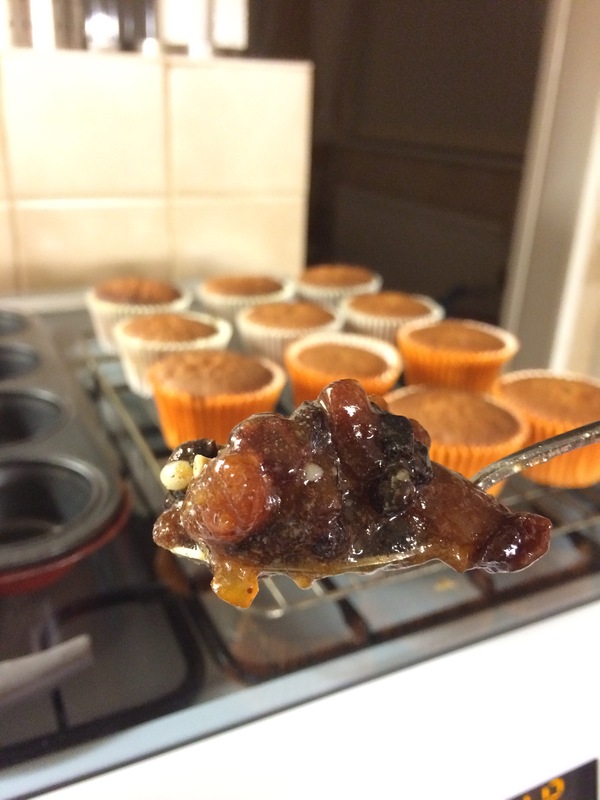 Spoon your mixture into your cupcake tin with the discs at the bottom until each one is 3/4 of the way full. Bake in your preheated oven for 20-22 minutes or until you can push them with your finger and the sponge just springs back naturally. While your cakes are cooling, in a large bowl and using your electric mixer, whip up your softened butter until it looks paler in colour and a lot smoother in consistency. Add your icing sugar in two stages, mixing well between each addition. Add in your Christmas cake curd and milk and whisk for roughly 30 seconds until well combined and fluffy. 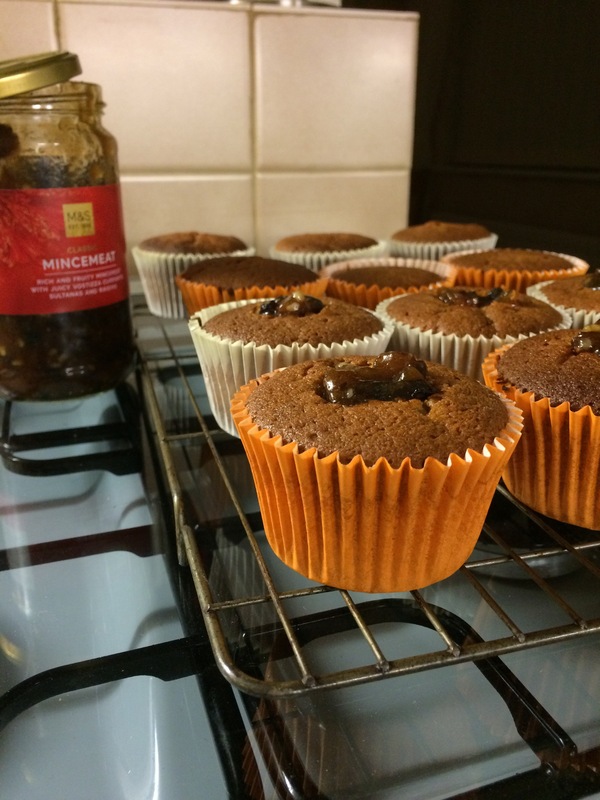 Before piping your cream, make a small hole in each of your cakes using a small knife or spoon and spoon in a teaspoon of mincemeat. Now pipe your cream using a piping bag and a nozzle of your choice, and decorate with your pastry leaves. Dust with icing sugar, for presentation purposes of course. Eat them. Eat them all. So please give them a go! Bake them, upload your pictures on Instagram/Twitter and tag me! Let me know how this recipe worked for you!